Private or semi-private lessons available now! When you want to take the next step in your development as a player, private or semi-private lessons can provide you with the specialized program you need to take your game to the next level. Our private and semi-private lessons are catered to meet the need of the participants and focus on the areas of the game that the participants wish to develop and improve upon. "I am thankful that my son and I met you last year. You have been a very positive influence on his life ... certainly good basketball lessons, but also good life lessons. You are an awesome coach and teacher. You certainly have a great knowledge of the game, but you also have a rare ability to break the knowledge down into increments that can be readily absorbed. Plus, you have a very motivating approach. You set a high bar and mix in positive reinforcement with direct feedback. So, thank you for taking the time to help my son. It has been a great experience for him and for me. Thank you!!!! "Kevin's knowledge and encouragement gave my son a confidence on the court and a passion for the game. He taught him the basics, including a great workout, technical skills. The season is off to a great start with lots of playing time an great stats. I can't begin to say what a positive experience the workouts have been. " "Coach Kevin did an outstanding job listening to what my son wanted to improve on and then developed a structured set of lessons to meet those goals. The lessons were well-organized, focused and intense, and we saw immediate results on the court." 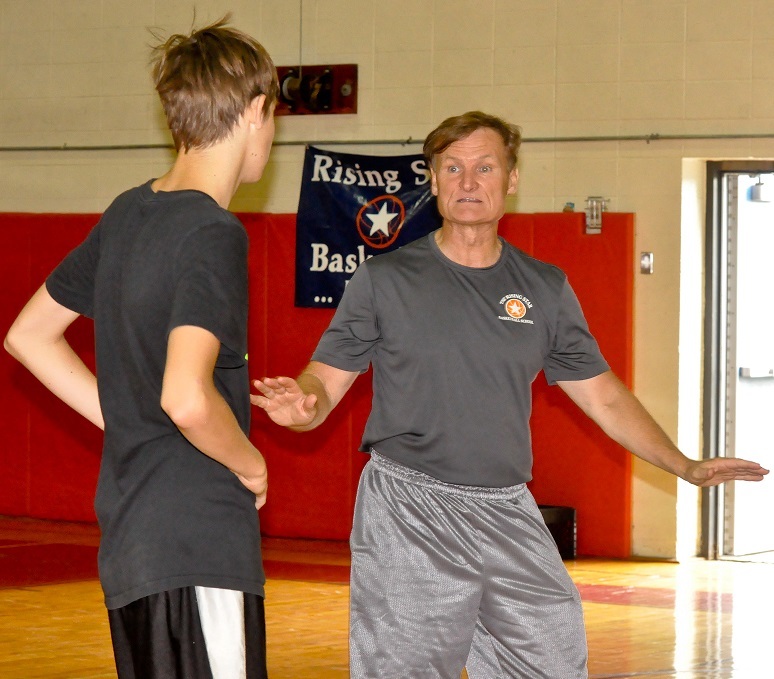 "The one-on-one private lessons with Kevin have been tremendous and have really helped my son improve all aspects of his game in preparation for high school tryouts. Kevin’s approach emphasizes game-situation drills, which has made a significant difference in improving my son’s shooting, ball-handling, defense, confidence, aggressiveness and ability to attack the basket. My son certainly could not have made such significant improvement in a short period of time without Kevin’s private coaching!" "Kevin's instruction is cogent, concrete and effective. He breaks moves and strategies down into discrete steps for the kids, and then helps them to adjust as they internalize the basics. The most impactful skills coaching that I have seen — the kids left excited and with a sense for how to put what they learned to use in game settings."